It is with considerable sadness that I share with you that Ann Rodriguez passed away yesterday after a valiant struggle with cancer. A thirty year resident of Reston, Ann was active in local arts, civic and business communities. She was a member of the board of directors of the Fairfax County Economic Development Authority, a member of the Reston Hospital Board of Trustees and served for six years on the board of GRACE, the Greater Reston Arts Center. She was a member of the boards of Virginians for the Arts and the Lorton Arts Foundation. 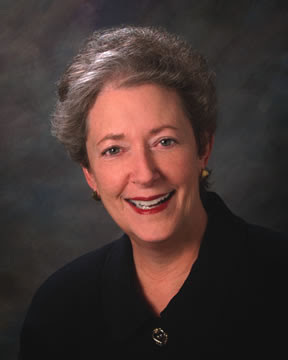 In 2004 she became the President and CEO of the Arts Council of Fairfax County. As their President and CEO, Ann was the "face" of the arts in Fairfax County. There will be no public funeral arrangements. A true supporter of the arts in Fairfax County, Ann requested that in lieu of flowers a contribution to the Arts Council of Fairfax County would be appreciated. Contributions may be sent to Arts Council of Fairfax County, 4022 Hummer Road, Annandale VA 22003. In Detroit, major collector and steel company executive Gary Wasserman says he's stopped buying works by England's Anish Kapoor and China's Yue Minjun so he can focus more on buying "powerfully Midwestern" art by artists like Brian Carpenter, whose $1,000 photographs often feature images of dead deer, Lake Erie nuclear reactors and snowy footprints. Swiss collector Guy Ullens, widely known for his vast collection of Chinese contemporary art, says he's also started buying landscapes by Swiss and German painters like Anselm Kiefer to hang in his home in the Alps. Italian collector Pierpaolo Barzan says the only contemporary art fair he's attending this season starts next Friday in Turin, where he hopes to find work by Roman artists like Nicola Pecoraro and Pietro Ruffo. "I believe that I can put together a much stronger collection, and make an impact in the art world, by collecting local artists rather than trying to find the next Chinese star," Mr. Barzan says. Want to make some acquisitions at Frieze but afraid you'll break the bank? Tried to ask a dealer for a 97% discount — hey, isn't it a recession? — and got laughed out of the booth? Don't despair! Head on over to stand P7, devoted to Philippines-born artist Stephanie Syjuco's project "Copystand: an Autonomous Manufacturing Zone," which is part of the Frieze Projects series curated by Neville Wakefield. Syjuco and several of her artist colleagues have set up a workshop where they're recreating art being sold by other Frieze presenters out of humble materials, such as cardboard. All the copies are for sale, and all are priced no higher than £500 ($820). Now, contemporary art's relationship with fakes has always been a little complicated. You've got your appropriationists, your rephotographers, your art world-approved, official fakers — Sherrie Levine, Mike Bidlo, Richard Pettibone, et al. — and then you've got your unofficial fakers, like Eric Doeringer, who used to set up a folding table outside art fairs and peddle his bootleg copies of works by Richard Prince, Jeff Koons and other household names. Lately, Doeringer has been hawking his bootlegs inside art fairs, invited by Flash Art magazine, or even a fair itself, as was the case in Miami at the Geisai fair two years ago. And now, enter Syjuco's officially sanctioned project at Frieze, where, on Friday afternoon, she could be found standing next to what looked like one of Mark Wallinger's signature paintings depicting the single letter "I" in bold typeface. Syjuco herself had made this particular copy, which, unlike Wallinger's paint on canvas, is constructed from cardboard, wood, and paper; a pink dot on its label indicated that it had sold. Read the whole thing by Sarah Douglas at artinfo.com here. Oliver Vernon, Double Down and Phil Nesmith: Flight Patterns, two solo exhibitions open at Irvine Contemporary in DC on Friday, October 30, 6-8PM and then on October 31: On site mural painting by Oliver Vernon.